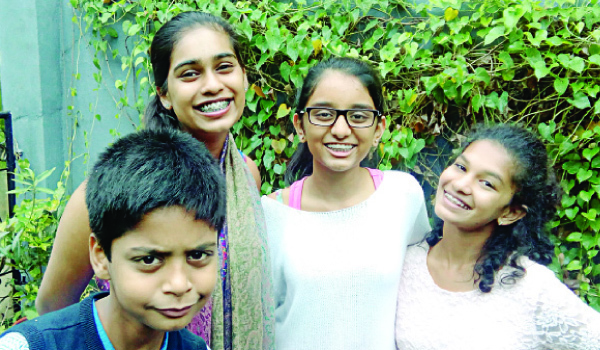 Arya Anagol, Prarthana Kumar, Ananya Melkote, Sairohit C (who are all between 10-14 years) set are all set to take audiences on a mysterious trail with magical creatures and fantastical characters in the Riddlera��s Box a�� a musical play. The latest production from Osagea��s Courtyard Theatre, the play follows the journey of a young man called Ali with an undying spirit for adventure. The protagonist then teams up with a man named Paku a�� a fearless archer. Paku is on a mission to kill a dangerous witch that lives in the cave of doom. Together they dodge creatures, solve riddles and make their way through an exciting adventure. a�?After every workshop, which spans about three months, we give the children a theme and they work on the script, develop characters, analyse the play, work on the direction, and also craft the stage required for the particular play,a�? explains Nidhi Nambiar, co-founder of Courtyard Theatre. Working with kids can be energy-consuming, but for Nambiar it is a refreshing experience. a�?This time we had a kid who was only 11 years old, and it was interesting to learn how vastly different they think. Some of them are towards the creative side while some dream of studying in the IIT,a�? she says. Much like any other musical, the 45-minute play moves forward with the help of with musical verses, rhymes and riddles a�� all of which are written by the kids. a�?Ita��s only when the children drift from the plot that we intervene as mentors; we only try and add value to the play. But otherwise, the children are very enthusiastic and have spontaneously gone about creating an interesting plot,a�? Nambiar says. November 14. 4pm Attagalatta, Koramangala. Tickets (Rs.150) on bookmyshow.com.